As the MLB All-Star Game gets ready to kick off tonight in our nation’s capital, there was some controversy over Monday’s Home Run Derby that got a rise out of Chicago Cubs fans on social media. Two Cubs players participated in the derby, shortstop Javier Baez and outfielder Kyle Schwarber. The derby took place in a bracket style, with Baez as a six seed and Schwarber as a five seed. While Baez was eliminated in the first round by Dodgers infielder Max Muncy, Schwarber battled his way all the way to the finals. On his way there, Schwarber put on a great performance, hitting 21 dingers in the semifinals against Phillies first basement Rhys Hoskins, who hit 20 homers before Schwarber came to the plate. The format of the derby is a timed competition, so players batting second in close battles try to beat the clock to surpass their opponent. Schwarber did just that against Hoskins, launching a blast to right field as time expired to break a 20-20 tie. It was time for the final round, Schwarber versus hometown hero Bryce Harper, outfielder for the Washington Nationals. It was also time for some Cubs fans to overreact. Schwarber batted first against Harper, starting out with a bang by blasting a homer over 450 feet on the first pitch he saw. He continued his strong showing on the night, ending with 17 home runs in regulation time. Players in the derby were awarded a 30 second bonus period if they hit two homers over 440 feet. Schwarber had seven homers over that distance in the final round, but could only tack on one more homer before his bonus time expired, leaving his total in the final at 18 home runs. Harper came up next and started slow. He only hit four homers in the first minute-plus, so he called a timeout to regroup. With 50 seconds remaining, Harper had nine homers. He seemingly flipped a switch and blasted nine big flies in that time to tie the score. 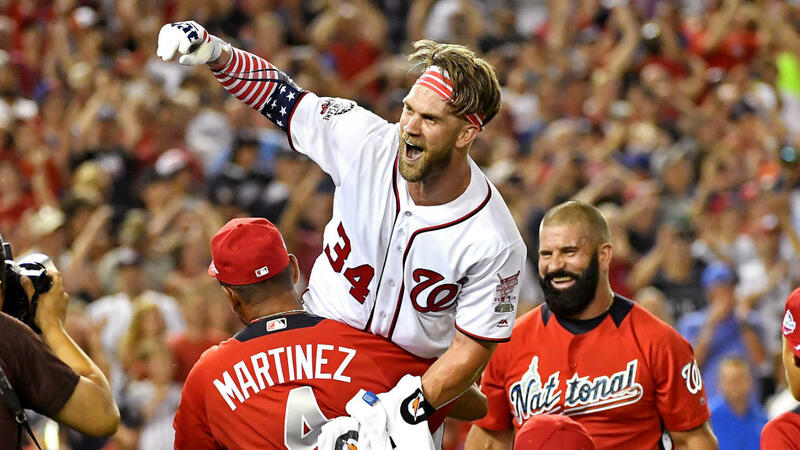 With the bonus 30 seconds easily in the bag for Harper, he took one swing in the overtime period and flipped his America-themed bat as the victor. Harper seemed to be a man possessed in the final minute. Some fans noticed that he was readying up and swinging for the fences before his previous homer had even landed, racing to match Schwarber’s total. Apparently there’s a rule that the batter must wait for the previous home run to land before taking another pitch. There’s an official rules page for the Home Run Derby on MLB’s website, but it doesn’t mention the rule. Cubs fans raced to Twitter to proclaim that Schwarber was robbed. One even started a change.org petition to change the results of the derby. I believe some of the Cubs fans on Twitter were just having a bit of fun and overreacting. Some seemed serious though. Honestly, we as Cubs fans should let the hometown guy have his moment. The Home Run Derby is just supposed to be a fun prelude to the All-Star Game where players can show some personality. Harper was decked out in an America sleeve and his America bat, so let’s just let him have this one. Yes, maybe he and his father (who pitched to Harper in the derby) cheated, but I noticed Schwarber getting a couple swings off quickly in his close battle against Hoskins as well. Chalk this one up as good ole’ American fun, and let’s just enjoy the All-Star Game tonight. It’s been almost a month since the Chicago Cubs won their first World Series in 108 years, and it’s still surreal for me to type out those words. I’m not exactly a long-suffering Cubs fan as I’m still relatively young, but I’ve endured some heartbreak and faced plenty of ridicule from fans of opposing teams. I’m also close with some relatives that are more qualified for that “Long-suffering” title. Having that all wash away in an instant was an absolutely amazing experience. It will also forever change the way I watch sports and feel about them in general. I was always a superstitious sports fan, and it was the worst for me with the Cubs. Any year that the Cubs made the playoffs, I never wanted to make a proclamation along the lines of “This is a great team, they can really go deep in the playoffs this year!” That’s not even really a bold statement like predicting the team will win the World Series, but I still thought that getting too cocky would somehow curse the team. I didn’t necessarily believe in the Curse of the Billy Goat, but I can definitely understand why people did believe it up until about a month ago. Even this season, with the Cubs fielding one of their most talented teams ever, I never wanted to be confident about their ability to win it all. The team consistently proved me wrong. The 2016 Cubs often chanted “We never quit!” after winning big games and reaching milestones throughout the season. It fit perfectly with what happened to this team in the playoffs. In the NLDS, the team started out well, but was facing the momentum shifting over to the San Francisco Giants down 5-2 in the top of the 9th inning in game 4. If the Cubs had lost that game, they would’ve faced a winner-take-all game 5 in Chicago against arguably the best playoff pitcher ever, Madison Bumgarner. Instead, the team decided to end the series then and there, scoring four runs in the top of the inning and going on to win the game 6-5. The Cubs then went on to face the Los Angeles Dodgers in the NLCS. The team was shutout in two straight games and down 2-1 in the series before their bats came alive and they rallied to win three straight games. All of a sudden, the Cubs were in their first World Series since 1945. They would face The Cleveland Indians, another team with a long championship drought (69 years). The seven game series was an instant classic that featured the Cubs rallying from down 3-1, winning three straight games for a second straight series, including a thrilling game 7 that took extra innings to decide. The final game of the series will go down as one of the best baseball games to ever be played. The Cubs jumped out to an early to a 5-1 lead, but would eventually squander that lead in a fashion that seemed so typically like the Cubs. They gave up two runs on a wild pitch to make 5-3. Even after adding another run on a David Ross home run, the Cubs couldn’t hold the lead. The Indians’ Rajai Davis hit one of the most clutch World Series home runs ever in the 8th inning to tie the game 6-6, and send Cubs fans into agony. However, the Cubs were able to hit the reset button during a rain delay that featured a team-rallying speech by outfielder Jason Heyward. They scored two runs in the top of the 10th inning to make it 8-6, and went on to win the game 8-7. Just like that, the Cubs went from lovable losers to champions. It’s an odd feeling, but it’s also really great. 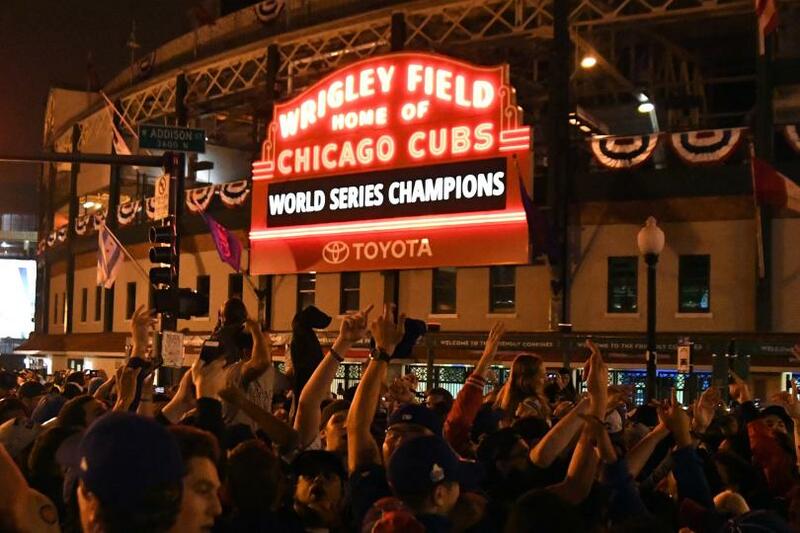 I always hoped I would be alive to witness a Cubs championship, but I never expected it. I bought into the whole “Perennial losers” narrative about the Cubs, and I let superstition make me think that I could never believe in the team I rooted for. But having that all go away in an instant was worth the years of heartbreak. To see a city collectively lose their minds celebrating, but also reflect on how lucky we are to see this when so many other fans didn’t make it to this moment was special. I loved the experience of watching the Cubs win, but it was also way different than I ever imagined it would be. The Cubs were the best team in the league in 2008 when I was in college, and I thought that if they somehow made it to the World Series, I would be there in the stadium when they won it all. They got swept out of the playoffs in the first round that year anyway, but as time went on I realized I didn’t need to be in the stadium or in the heart of Wrigleyville to enjoy a Cubs World Series. I lost my younger brother to cancer in May, and it has changed my perspective on a lot of things. I wanted the Cubs to win this World Series not only so I could see it, but so that maybe it could take some attention off the pain my family is going through this year. My brother wasn’t a big Cubs fan, but I know he would’ve enjoyed seeing Chicago go crazy for the team. In the end I was happy to be watching the game on the couch with my mom, stepbrother and stepdad. Being around my family seemed to be the only appropriate way to watch game 7 of the World Series. It was a crazy game, and I even stopped watching for about five minutes after that Davis home run, but I’m glad I came back into the living room. It was important to me to see my stepdad, a diehard Cubs fan for over 60 years, experience a Cubs World Series win in his lifetime. I wasn’t sure what his reaction would be when they won it all. I was jumping around screaming and hugging my family, and my stepdad simply stood up with tears in his eyes and said “I have to go to bed now”. It was actually pretty late since the game took over four hours, but I didn’t expect that reaction. After thinking about it for awhile, it finally makes sense to me. He had seen so much heartbreak over the years: 1969, 1984, 1989, 2003, 2008, and the list goes on. He was even at game 7 in 2003 when it seemed the Cubs were going to make it to the World Series, but fell short. I think when the team finally won it all, the moment simply overwhelmed him. I understand that, but I will never understand it to the degree he does. This was the first sporting event I truly shed tears over. It is a cathartic event for many Cubs fans. We celebrate, but we also mourn all the Cubs fans close to us who came before us and didn’t get to see this. For me, it’s my brother. Pretty much every Cubs fan has one, or more. For my stepdad, I’d imagine it’s a lot. With all we’ve been through this year, it’s bittersweet in a way. But I wouldn’t change this moment for the world. The Cubs are World Champions. Say it with pride. All my years of sports superstition, all the worrying, all the overreaction is all gone now. I feel like I can just enjoy sports as a genuine spectator now because I’ve experienced the greatest victory any team I root for can accomplish. It’s a damn good feeling. In July, UFC President Dana White announced that the company’s co-owners Lorenzo and Frank Fertitta had sold their majority ownership stake of the company to representatives from WME-IMG group for over $4 billion. While White also some of his small ownership stake, he struck a deal with the new owners to stay on as the UFC’s president. This ended a 15-year era in which the UFC went from a dying organization operating out of smoky bars to hosting a huge pay-per-view event in a brand new Las Vegas arena. 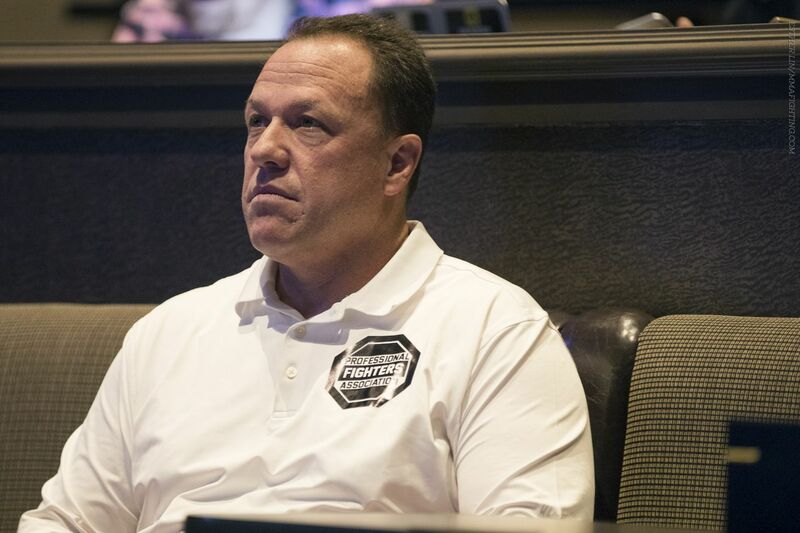 But with the Fertitta brothers moving on to other possible ownership opportunities, it means that two of the most anti-union operators in sports are no longer at the helm of the UFC. It won’t be easy, but now seems to be the best time in the UFC’s history for the fighters to band together and unionize. There have been some fighters who have publicly expressed their changing attitude towards the UFC after seeing how much money the company pulled in for the sale, but others remain skeptical. With all that being said, the path to a UFC fighter’s union is still an uphill battle, and some huge stars may have to take a risk to start a revolution. About a month after the UFC announced they sold the company to WME-IMG, a new organization called the Professional Fighters Association launched their website with a specific message for UFC fighters. A press release featured on the home page of the site made it very clear what the association’s intentions were. The release talked a big game, but there have been attempts at forming figher’s unions before, and they all fell flat. The difference between those efforts and the efforts of the PFA is who’s at the helm for the association. Jeff Borris is the president of PFA, and a powerful sports agent who represented some of baseball’s biggest names–including Barry Bonds. Borris has been through multiple labor stoppages in different sports leagues with his clients. In an interview with MMAFighting’s Ariel Helwani, Borris explained that a meeting with Dana White and fellow agent Lloyd Pierson was what made him want to start a fighter’s union. Borris hasn’t been shy at all in communicating with UFC officials after forming the PFA. He was front and center at a press conference the UFC held for the UFC 202 event, and was later asked to leave the media day for the fighters. He called new UFC owner and fellow famed super-agent Ari Emanuel in hopes to open a line of communication and get the new ownership’s view on the possibility of unionization. According to Borris, the call didn’t go very well. I certainly respect Borris’ confidence and drive to get this union going. However, what he needs the most and has very little control over is the attitude of the fighters themselves. UFC as an organization has a terrible reputation when it comes to fairly compensating fighters. Fighters are employed by UFC as independent contractors, but also must abide by a uniform code and cannot have outside sponsors on their uniforms as they did in many years past. With this desperation for fighters that are lower down the card to make more money, it leads to a more cutthroat, everyone for themselves attitude rather than a unified ideology. Take UFC 200 for example. The UFC’s biggest draw, Conor McGregor, was removed from the event for failing to meet media obligations set by the UFC. Instead of fighters using their voices to say how unjust it was that he was removed from an event for not traveling extensively to press conferences, fighters begged Dana White to take his place for less money than McGregor would’ve made. It will take a lot of work to convince fighters that they should risk their spot in the UFC to stand up against their bosses and demand more money and benefits. There haven’t been many fighters that have spoken about joining the PFA or throwing their full support behind a union. A big name like McGregor may have to get involved to put any real power behind the big unionization effort. However, some fighters have taken time to speak out for the need for a fighter’s union. Women’s bantamweight fighter Leslie Smith has been a longtime proponent of a union. Recently Donald “Cowboy” Cerrone said he was on board for a fighter’s union. Cerrone was fined by Reebok for wearing an American flag patch on his fight shorts, a patch he’s worn for every professional fight he’s had. While there is some momentum for a union to be started by the fighters, it’s still in the very beginning stages. There are a lot of benefits to a fighter’s union, but it might greatly cut into the UFC’s profits. Since the UFC isn’t publicly traded, their books aren’t open to public view–thus, no one really knows how much unionization by the fighters would hurt the UFC’s bottom line. However, in my opinion it is essential that the UFC eventually allows the PFA to create a formal fighter’s union. The UFC says they signed an exclusive uniform deal with Reebok to make the sport more legitimate and like the NFL, NBA, etc. All those professional sports leagues also have player’s unions. They come to a collective bargaining agreement every few years and split revenues almost evenly among players and ownership. The UFC is nowhere near that and in my eyes it makes them less legitimate as a sports league. A lot has changed recently in the UFC, and the need for a union and collective bargaining is higher than ever now that the public and the fighters know exactly how much the organization is worth. What lies ahead is a long battle between Borris, fighters, and the powerful bosses of the UFC. It will likely be reminiscent of one of those brutal five-round fights that have made the UFC so famous.